In a much anticipated move, Gov. 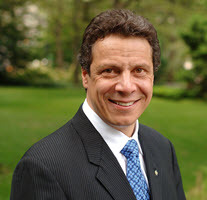 Andrew Cuomo today announced the microgrid winners for Stage 2 of the NY Prize, as well as significant new financial support for those who go on to win in the third and final stage. Each of the 11 microgrid projects that won Stage 2 will receive $1 million, for $11 million in total, allotted as part of a $40 million competition created by the state to spur microgrid development. Those that advance to Stage 3 will vie for an additional $20 million of NY Prize funds. And now, in addition, the Stage 3 winners also will have the opportunity to each secure up to $50 million in financing from the NY Green Bank. The Green Bank funds represent a significant increase in financial support for the microgrid winners. The state sweetened the pot because community microgrids — still a relatively new concept — are not easily financed through traditional lending institutions. To receive the $50 million in additional financing, the projects must meet Green Bank criteria and undergo due diligence and financial analysis. The New York State Energy Research and Development Authority (NYSERDA), which administers NY Prize, chose the 11 Stage 2 winners from six regions. The microgrid winners will use the money to conduct detailed engineering designs and business plans. The projects are being developed to provide back-up power to communities during power outages, to integrate more renewables into New York’s grid and to reduce greenhouse gases. NYSERDA already awarded over $8 million for Stage 1 of the competition to 83 communities across the state. The Stage 1 winners used the funds to conduct microgrid feasibility studies in 2015. Nearly 150 communities had applied for the initial stage of the competition. The competition drew teams of microgrid industry players not only from New York, but from across the U.S., making the state an epicenter of microgrid activity. The participants sought ways to solve community-specific problems with microgrids. “NY Prize’s comprehensive approach ensures all stakeholders take an active role in developing energy solutions,” said Justin Day, senior marketing program manager at Schweitzer Engineering Laboratories (SEL). 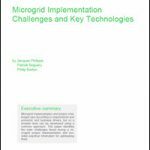 “Microgrids will allow many of these communities to focus on the continuity of critical services rather than disaster recovery. As a result of this competition, New York’s grid will become more reliable, secure, and resilient–one microgrid at a time. Utilities played an active role in Stage 1 of the competition by identifying “grid opportunity zones,” or geographic areas where microgrids may reduce utility system constraints, and defer expensive infrastructure investment costs. Utilities also assisted communities and other partners with submission of their applications. Funding for Stage 1 and Stage 2 totals nearly $20 million. NY Prize applications came in from combinations of community organizations, local governments, non-profit entities, developers, for-profit companies and municipally owned utilities. “Microgrids are a key source of power for homes, businesses, hospitals and other vital facilities during weather events and other power outage emergencies. They are vital to our clean energy future. We need communities with creative local energy solutions – like these innovative microgrids – to partner with us in creating the energy system of today and tomorrow,’ said Gil C. Quiniones, NYPA president and CEO. The winners included a NYPA project in the Town of Huntington, being undertaken in a partnership that includes TRC Energy Services, National Grid and PSEG Long Island. NYPA will provide financing directly for projects designated and implemented by the power authority. The full list of Stage 2 microgrid winners is available on the NY Prize website.